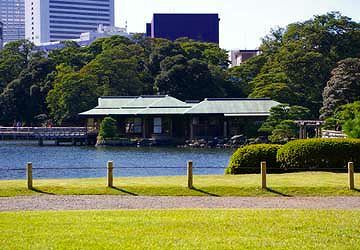 Hama Rikyu is an old Japanese garden representing Daimyo Teien style. 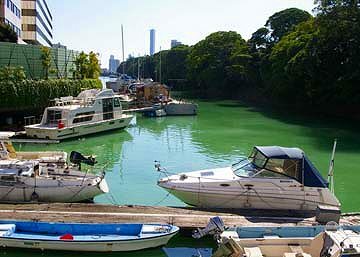 It is situated alongside the sea, and so has a tidewater pond and duck hunting lakes in it. Flowers, such as plum, cherry, wisteria, irises and cosmoses blossom according to the season. 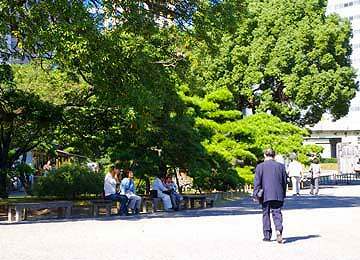 The garden was first laid out in 1654, and completed in 1704 as a landscape garden owned by Shogun family. 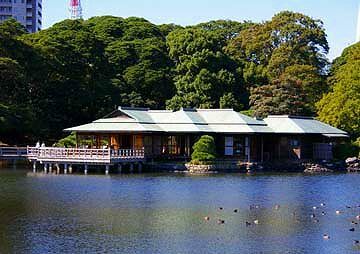 After the Meiji Restoration, the garden became the detached palace of the Imperial family, and its name was changed to Hama Rikyu. 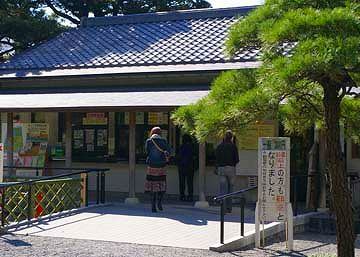 It was badly damaged by the great earthquake in 1923, but rapidly reconstructed and opened to the public in 1945. 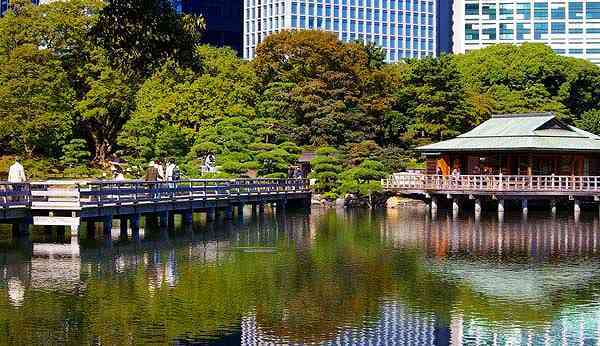 The garden is located near the commercial center of Tokyo, just minutes away from Ginza. 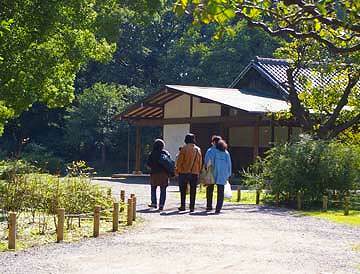 You can spend a pleasant time strolling along the shadowy paths or conversing with your friends on the lakeside. The entrance is situated at a north-east corner of the garden. Visitors approach there getting across a bridge over a canal named Tsukiji-gawa. Northern part of the garden was remodelled after the great earthqukae in 1923. 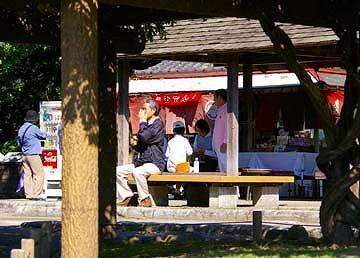 There are flower and plum tree gardens alongside Tsukiji-gawa. 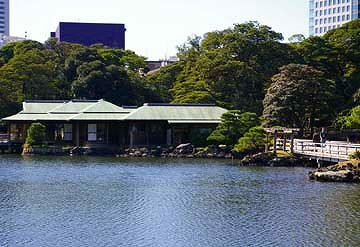 The focus of the garden is a tidewater pond, Shioiri-no-Ike. The pond fills from the sea, and the water level rises and falls with the tide. 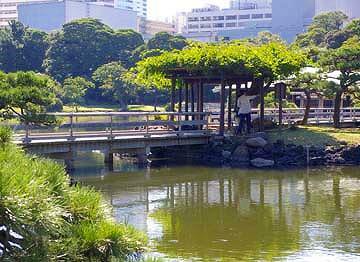 There are other gardens that also have tidewater ponds in Tokyo. 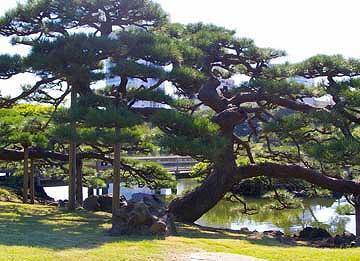 But Hama Rikyu is the only garden where actual moves of tidewater occur. 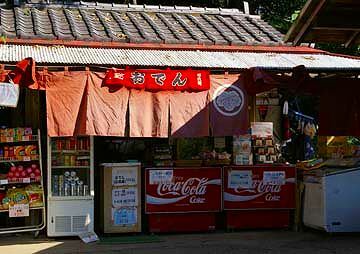 A shop cottage by the pondside. but I did not meet them this time. 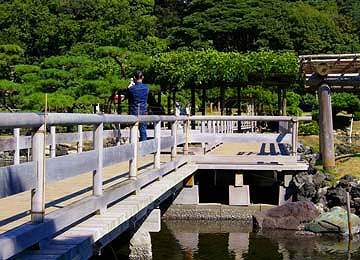 which is reached by a wooden bridge with wisteria trellises. 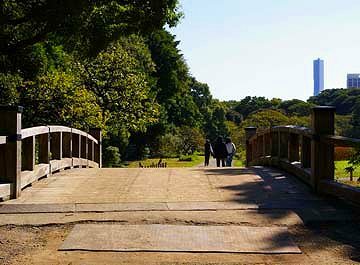 Another wooden bridge at a south-west corner of the pond. whose image is reflected beautifll in the pond. make a queer contrast with the garden. Beautiful sceneries of the pond. 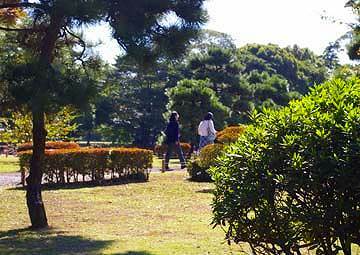 The garden varies its sceneries with the change of seasons.